The 12.1-inch Acer Aspire 2420 features the Intel Celeron mobile processor 530/540/550 processor, Mobile Intel GL960 Express Chipset with integrated 3D graphics, featuring Intel Graphics Media Accelerator X3100 (Intel GMA X3100), up to 250 GB Hard Disk Drive, Integrated Acer Crystal Eye webcam, supporting enhanced Acer PrimaLite technology, Acer InviLink 802.11bg Wi-Fi CERTIFIED network connection, and bluetooth. 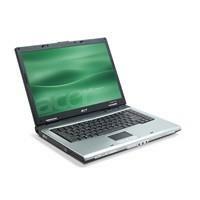 If you are looking for available drivers or software related to your Acer Aspire 2420 laptop. The following software and drivers are compatible with your Acer Aspire 2420 and Microsoft Windows Vista. If you come across any Acer Aspire 2420 Drivers download issues, please ask for help in the comments section below.